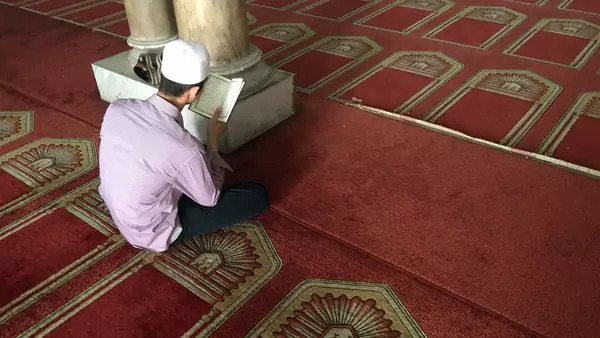 An Egyptian Muslim man reads the Quran in al-Azhar mosque as restoration work is conducted ahead of Pope Francis’ visit, in Cairo (Amr Abdallah Dalsh/Reuters). Reading selection for the weekend of June 30, 2017. Amira Sayed Ahmed finds that more Egyptian university students are learning Hebrew for reasons that range from business needs to cultural curiosity. Guy Laron examines the historical instances in which Israeli military officials considered using nuclear weapons in the 1967 and 1973 Arab-Israeli wars. Wissam Saade reviews a new history of Beirut’s Jewish community that challenges romanticized historical assumptions.